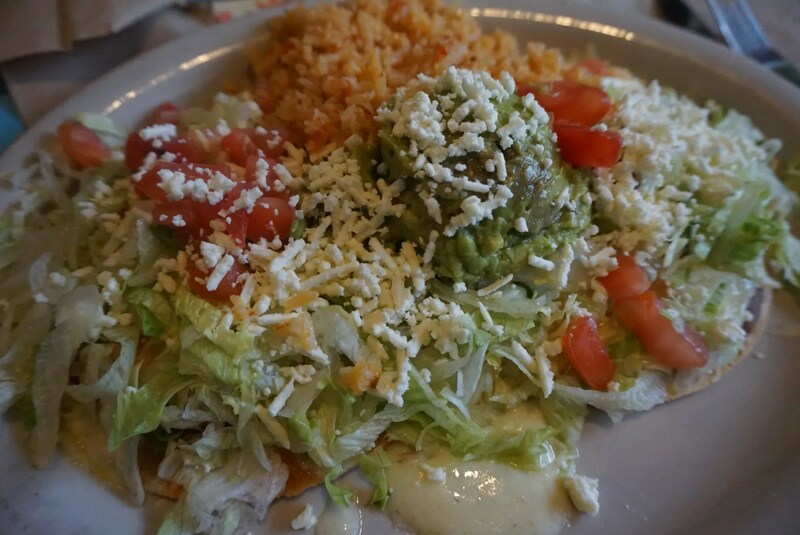 We had lunch at Curra’s Grill Mexican restaurant located at 614 E Oltorf Street. I specifically chose this restaurant because it is known as the “Home of the Original Avocado Margarita in Austin.” Since I am a huge fan of the avocado margarita that is served at La Cava del Tequila (located at Disney World’s Epcot theme park inside the Mexico pavilion in World Showcase), one of my Disney friends had suggested I try the one at Curra’s while visiting Austin. She claimed the Curra’s avocado margarita was much better, but I wanted to taste it and judge for myself. I thought this was good but not nearly as good as La Cava’s. 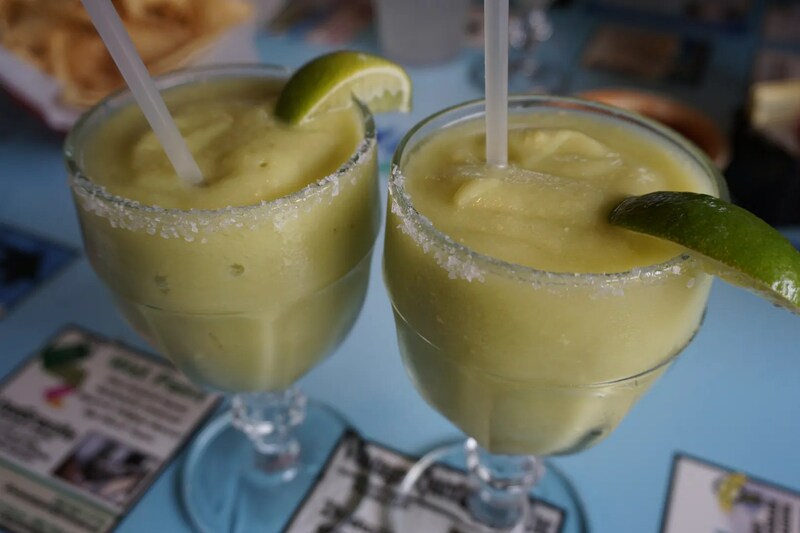 This one tasted less sweet and more like avocado than the La Cava margarita. So for me La Cava del Tequila is the champion of this Avocado Margarita Throwdown. 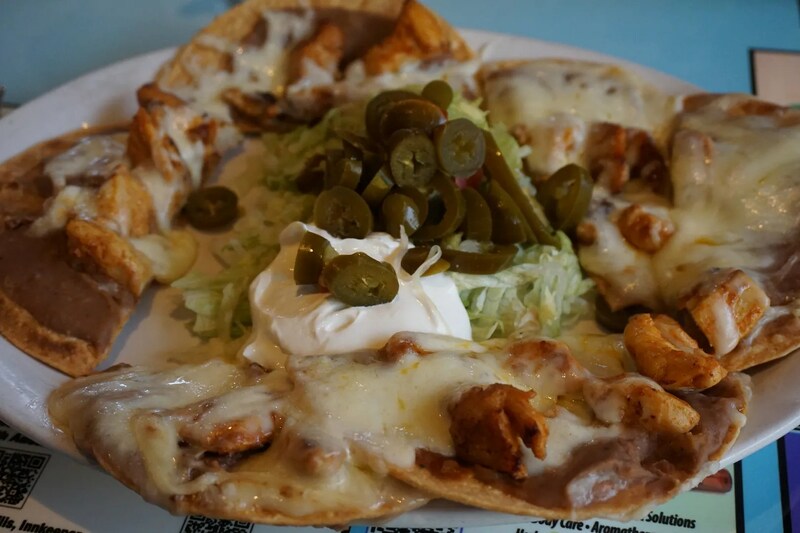 Chicken Tostadas – Flat tortillas topped with refried beans, Monterey Jack cheese, and lettuce, tomato and guacamole salad, sprinkled with goat cheese. 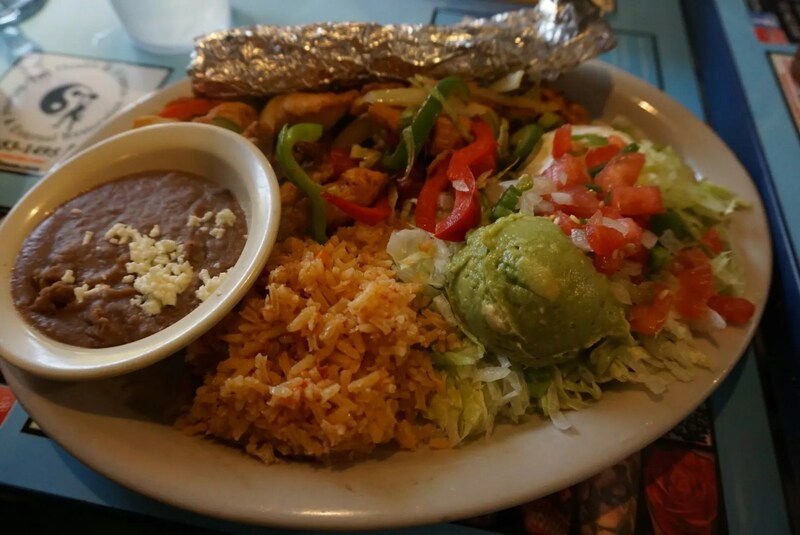 Served with Mexican rice. Everything was good, but nothing stands out as exceptionally good so we gave Curra’s Grill 3 1/2 stars out of 5. 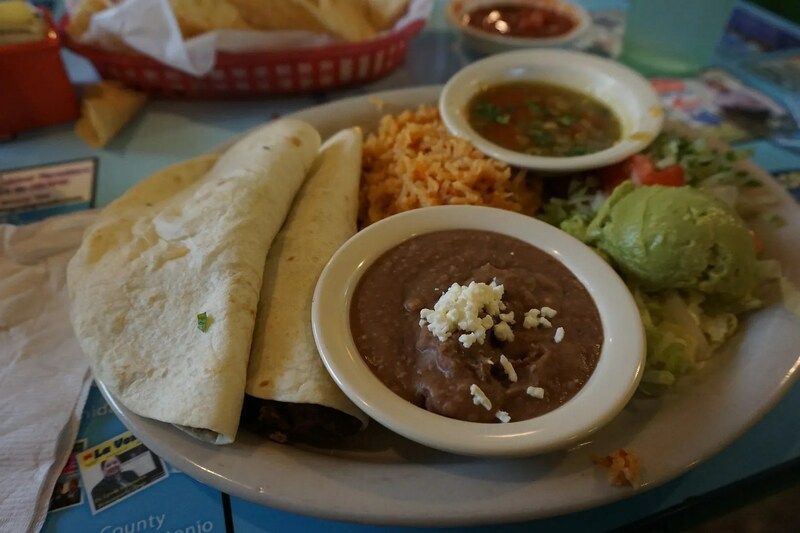 This was slightly lower than the rating of 4 that was given by Trip Advisor reviewers and Curra’s Grill currently ranks #248 of the more than 2,500 Austin restaurants reviewed there. On the other hand Yelp reviewers rated it the same 3 1/2 stars that we did.